Denise Terry is CEO of Embrace Health, a digital health company for women and families she cofounded with the OBGYN who delivered her twins. Denise led product, marketing and sales teams for high tech startups across mobile, consumer Internet, social media and SaaS, including three acquisitions by Microsoft and Experian. Denise was Chief Marketing Officer for DayOne, a center for new and expectant parents in the Bay Area. She also founded a prenatal health practice supporting hundreds of pregnant couples and new parents during pregnancy, birth and postpartum with education, labor support and wellness services. Denise holds a B.S. in Economics from Smith College as well as certifications in perinatal fitness, prenatal massage, childbirth education and birth and postpartum doula support. 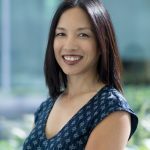 Denise is on the Board of Directors for Girls in Tech and actively mentors young women in technology. She is a mother of boy/girl twins and teaches Code.org at her children’s school.